Update: the article initially mentioned Nemo 3.2. The PPA now provides Nemo 3.4 for Ubuntu 17.04 and 16.04 (Ubuntu 16.10 is no longer supported by Canonical, so Launchpad doesn't allow uploading new packages for it). 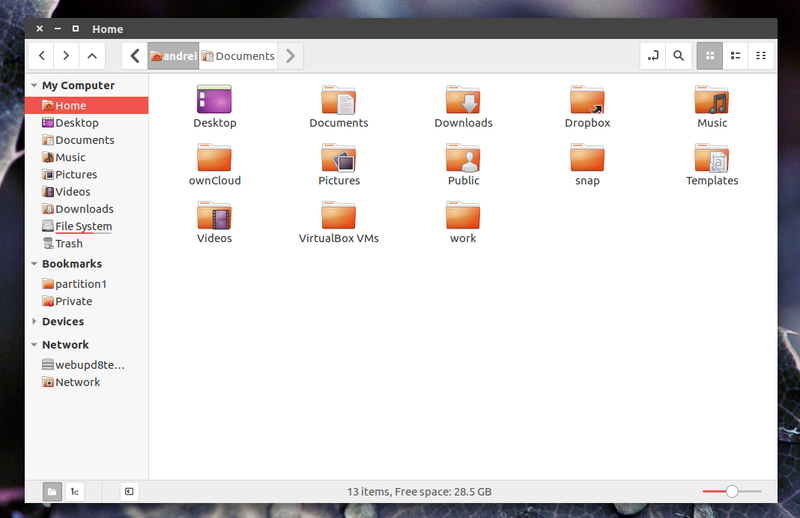 To make it easy to go back to Nemo 2.8.0 for Ubuntu 16.04 users in case something doesn't work properly (because there were quite a few under the hood changes in Nemo), I decided to upload the latest Nemo 3.4 to a new PPA. See some of the changes in Nemo 3.4 HERE. For a complete Nemo changelog, see THIS page. This PPA provides Nemo without Cinnamon dependencies (well, one is needed for translations: cinnamon-l10n, and is provided by the PPA) and with Unity patches, such as Unity Launcher quicklists and progress bar support, GNOME / Unity Control Center support, patch to draw the desktop background (wallpaper), and various other minor tweaks / fixes for Unity. While Nemo from this PPA is patched for Unity, it should work with other desktop environments as well, like GNOME (Shell) or Xfce, although I didn't test it. Important: do not use this PPA if you use Linux Mint or if you use the Cinnamon desktop in Ubuntu! Also, if you've added any Cinnamon PPAs, you'll have to purge them before using this Nemo PPA. To install Nemo extensions, you can either search for "nemo" in Synaptic, or install them via command line - you can find the available extensions HERE. Important: if you're upgrading from an older Nemo version and you had Nemo set to draw the desktop, you'll have to either logout/login or run "nemo-desktop" manually. This is only required once after updating - that's because the executable used to draw the desktop is now "nemo-desktop" instead of "nemo". Then restart the session (logout/login) and you're done!